Following the arrest of campus safety officer Robert Gardner on charges of sexual misconduct back in late June, President Phillip Glotzbach has sent out a series of emails regarding the incident. What with this being a concern for many alumni, parents, and others not presently on the student email list, the official statement on Gardner’s arrest can be read below. Earlier today, I announced a number of new steps we are taking to expand our response to the issue of gender-based and sexual misconduct. This issue afflicts not only higher education but also the larger communities in which we live, and we will continue to do all that we can to ensure the safety of every member of our community. Given the heightened sense of concern regarding this issue, I believe it important to update you on an incident that occurred earlier this summer. We were dismayed to learn that a member of our Campus Safety staff was arrested for an alleged sexual abuse. He was off-duty at the time, the events in question occurred off campus, and the other person was unrelated to the College. The employee was immediately suspended, banned from campus, and no longer works at the College. It is our usual practice not to comment on individual personnel matters; however, these allegations are a matter of public record. As we begin the new academic year, I want to assure you that the College responded immediately and appropriately as soon as we were notified of the incident. As always, we have been cooperating with local authorities and appreciate their continued efforts in helping to keep our community safe. I strongly encourage you to read through the email and peruse the new website, as it contains very thorough information on sexual misconduct, how to respond to any such misconduct, and what we as a community can do to address this important issue. After we emailed her yesterday asking for a comment on the recent arrest (and alleged firing) of Campus Safety Officer Robert Gardner, Dean of Students Rochelle Calhoun has responded and indicated that we will be hearing from President Glotzbach at some point this week. You can find her full response below. Thanks to anyone who has taken the time to get in contact with Dean Calhoun or any other college official on the whole affair. Thank you for your e-mail and the opportunity to address your concerns. You can anticipate receiving a letter from President Phil Glotzbach this week. We have been working diligently for some weeks now to be ready to get a message out to our community before the beginning of the new academic year. Once you receive the letter, please don’t hesitate to be in touch with any suggestions or concerns. I appreciate the opportunity to address your concerns. I hope that we will continue to be engaged together in this important dialogue. 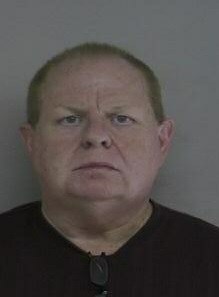 Robert Gardner, a 35 year campus safety officer, has been arrested and charged with sexual abuse and unlawful surveillance of a 28-year-old woman and Saratoga resident. Sources report (and some in slightly graphic detail, so a trigger warning might be in order) that the incident happened Wednesday afternoon at the victim’s residence on Lincoln Ave after Gardner, 62, drove her back home Saratoga Lake, where “Gardner and [she] had been drinking most of the day” (WYNT.com). Gardner, 62, was released on his own recognizance by City Court Judge Jeffrey Wait, and has been suspended by the College without pay. Sources report he is facing up to 7 years in prison. Naturally, one is left to wonder why students have had yet to be notified, and perhaps the optimistic answer to this question is that the college will (and had planned to) do so in the very, very near future. Still, time will tell. Of course, the question then becomes What will the college do next? Even though this terrible violation didn’t take place on the Skidmore campus or involve a Skidmore student, this is definitely a Skidmore issue. It reflects poorly on Campus Safety to students, parents, and potential applicants. And, since the perpetrator is a representative of the Skidmore community–and, perhaps worse, someone who is supposed to serve as a symbol of safety and protection from such crimes–it reflects poorly on Skidmore in general. Though some action has been taken in Gardner’s suspension without pay, how the college chooses to address this situation–one that is, sadly, merely one in a long line of events concerning safety and sexual assault on college campuses–will no doubt be key in determining how people perceive Skidmore and its stance on such matters. Here’s hoping they make the right decision. And here’s hoping they’ll be kept accountable for it.